The Routemaster was painstakingly designed and extensively tested in service conditions before going into service. The design made it's first appearance at the Commercial Vehicle show in Birmingham in 1954 but would not see service for some time. London Transport took 5 years designing the bus from scratch, and refining it, before putting it into service in 1959. Routemasters have a unique “chassisless” construction. A lightweight alloy body with front and rear sub-frames was used instead of a full length chassis frame, keeping unladen weight down to around 7.3 tons. 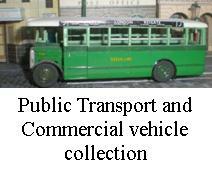 Extensive use of aluminium in the bodywork, which had dimensions of 27’ 6" in length, 8 feet wide and a height of 14’ 4.5", allowed the double deck bus system with 64 seats to weigh less than a single deck bus with about half as many seats. It also reduced corrosion rates as apposed to steel bodywork and offered better fuel consumption. The first two were built in Chiswick, using Park Royal bodywork and AEC mechanicals, followed by two more prototypes one with Weymann body and Leyland running gear and the fourth, also Leyland powered, received a platform doored ECW body. Despite the different coachbuilders involved, the vehicles were all of similar design. It was the last open platform vehicle in service in London and as a design it outlived it's contemporaries and several others that came later. Most likely a testiment to the number of years spent discovering components that would be subject to wear and tear in daily service, correcting and re-designing as necessary, so all the problems were ironed out before it went into production. On November 11th 1959, 75 buses started operating from Poplar and West Ham bus garages, as replacements for Trolleybuses under stage 4 of London Transport’s Trolleybus replacement program. This was followed by 2760 vehicles, including 24 longer buses capable of seating 72 passengers, between 1959 and 1968, taking to the capitals streets. A further 65 vehicles left the AEC / Park Royal factories in West London to go into service with BEA to connect their West London Air Terminal in Gloucester road and Heathrow Airport. Northern General were the only other original customer, they bought 50 vehicles for service in the Northeast of England. Later Liverpool Corporation, East Kent, Halifax Corporation and Manchester Corporation all tried out the routemaster but no orders were placed by any of these operators. The longevity of the Routemaster bus meant that generations of Londoners, and visitors to the Capital, grew up with the Routemaster, they took this bus to their hearts like no bus before, or since. It is now regarded as a London icon reconised world wide over, as much a part of London as the Black Cab. Rod built this model in the late 1990s so it is all spray painted with Halfords car paints. Detail painting is done with Humbrol enamels and acrylics. The white centre line has been done with 'Trimline' strip. A self adhesive striping tape usually meant for radio controlled models, but equally usefull in the static model world too. Sadly the model has lost one of its wheel hubs, a problem that occures when transporting models to various shows and demonstrations!